Sophie has always felt out of step - an outsider, even amongst friends in her high school with all the hype about celebrity culture. Her life in LA seems to have been already written for her, but when her junior year starts, it all takes a drastic turn. When she crosses paths with the school's heartthrob, Nate Werner, they fall for each other in a way neither can understand. What they don't know is that by giving in to their desires, they are unlocking an ancient Egyptian prophecy that threatens to return Earth to the dark ages. To undo the curse, Nate and Sophie embark on an adventure that takes them across the country. But their quest is not only to save the world as they know it. It is also a fight for their very survival. Behind the scenes, there are those that are counting on them to fail. 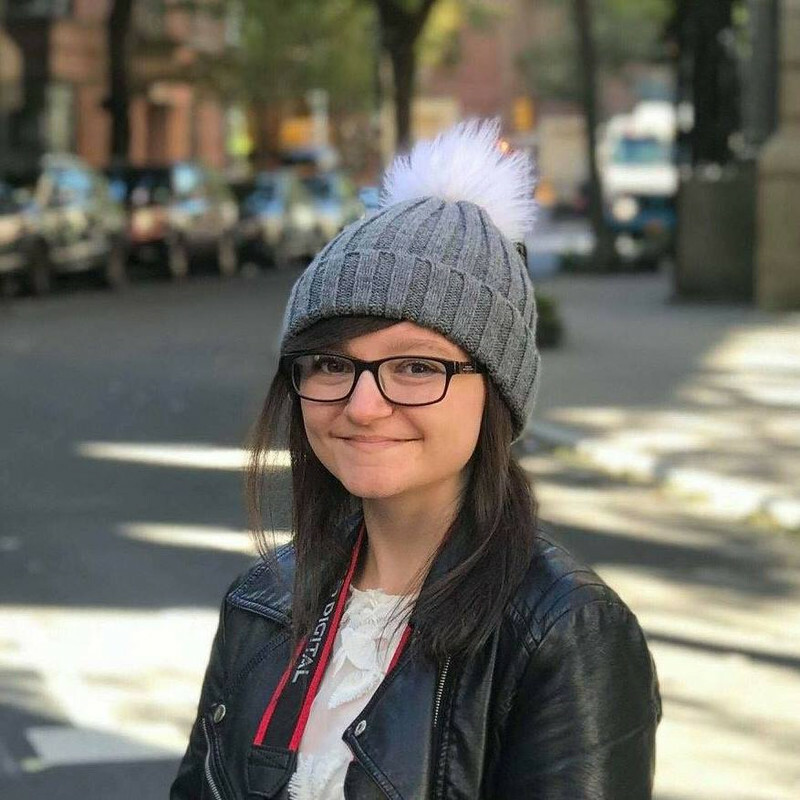 Sophie is an average girl from LA. Constantly surrounded by her actress friends and a-list parties, all she cares about is achieving A grades and a scholarship to NYU. She leads a simple life...until she meets gorgeous but mysterious Nate Werner. Sophie's friends (Emma, Chase, Tyson and Megan) are creeped out by Nate and don't understand why there is such a deep connection between them. With spooky Egyptian prophecies, curses and Cleopatra's secrets, Sophie and Nate are brought together in a way that neither of them can understand until they are forced on a New York adventure in a race against time. It's a matter of life or death. I didn't really like Sophie's friends - Emma, Megan, Tyler and Chase. They seemed a bit distant and I didn't know much about them. The only times they were in the book didn't give me a very good impression of them. Maybe if they had appeared more in the book, I would have liked them more? Don't be fooled by the cover, showing an image of a movie premiere. That only happened once and that was at the start of the book. It makes me wonder if that particular image was chosen to glamourise the book and make it more appealing to readers, which makes me a bit sad. I am not a huge fan of the cover, but you know what they say - don't judge a book by its cover. Read it anyway! 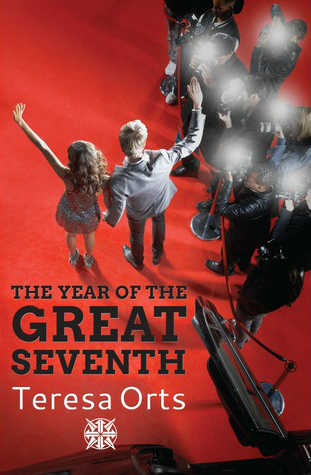 'The Year of the Great Seventh' is refreshingly different and I can't believe it is the writer's debut novel! I was blown away with this original tale. It's really hard to pin it down to a specific genre as it includes romance, Egyptian history, horror and there is certainly a lot of mystery. Personally I am not a fan of historical novels but this was an exception, perhaps because it also includes two of my favourite genres (romance and contemporary.) Plus I usually love anything set in LA as anyone who knows me will know that I am desperate to go there. Orts has created a delicate world, which weaves Hollywood glamour, the city that never sleeps and Egyptian history together. In fact, I'll go as far to say that Teresa Orts could be the next J.K Rowling - seriously! Altogether, this is a truly remarkable read and I loved how Orts weaved Egyptian mythology into the story. Some parts really tugged at my heartstrings, especially the bit towards the end (people who have read this will definitely know what I'm talking about.) The realism and emotion in this novel was astounding. I have to say that when I first started reading this, it took me ages to get into it, but once I did....WOW. I was extremely impressed with this enriching novel and it was like the book suddenly turned into a magnet - I couldn't put it down! Even now - the day after finishing the book - I am still thinking about it. It annoyed me that the book ended on a cliffhanger, but now I am desperate to read the next book in the series (yes, there is a next book, thank god.) With richly detailed chapters and multiple genres tied into the book, this novel will leave you in awe with Orts' beautiful writing and incredible story-telling ability. Thats so awesome that you liked it. I was sent this book awhike ago and Im ashaned that I haven't gotten to it yet. I actually wish I could go to Egypt one day. I really think that this story is definitely unique. Have a great weekend. I laughed out loud when you said (well, typed) "like a modern day Romeo and Juliet. Or Harry and Voldemort (worst comparison ever but there you go.)" I thought of Harry and Voldy in a romantic relationship... hahaha! I've been spending too much time on Tumblr and the FB HP groups ;) ANYWAY. Hahaha :D Holdemort...or Varry! I SHIP THEM NOW. This is the one you reviewed in The Guardian isn't it?